Fantastic Beasts and Where To Find Them is the latest movie to find itself in Screen Rant’s Pitch Meeting series with Ryan George. This episode centers around the film’s tonal inconsistencies, overuse of magic, and a storyline that’s been stretched a bit too thin. 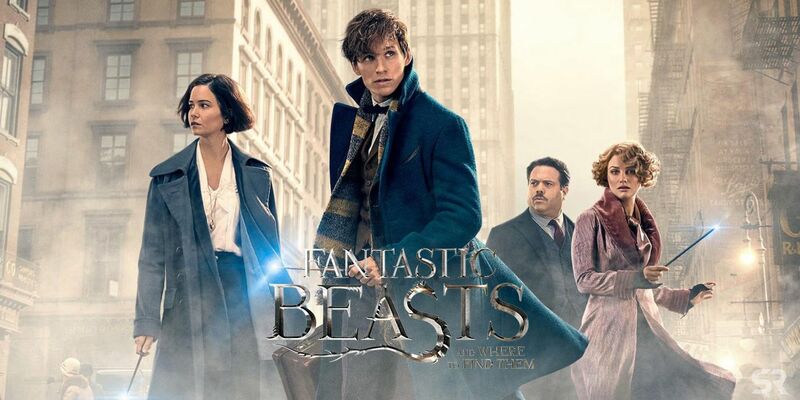 In 2016’s Fantastic Beasts and Where To Find Them, magizoologist Newt Scamander (Academy Award winner Eddie Redmayne) arrives in New York City in the 1920s with a magical briefcase filled with a wide variety of “fantastic beasts.” During his visit, however, he meets an Auror named Tina Goldstein (Katherine Waterston) and a No-Maj named Jacob Kowalski (Dan Fogler), and the three are inadvertently wrapped up in a mysterious plot that may involve one of the most dangerous wizards of their time. A prequel to J.K. Rowling’s Harry Potter series (she penned Fantastic Beasts’ screenplay herself), the film earned over $800 million earned at the box office, and will be the first entry in a planned five-part film series, with its sequel Fantastic Beasts: The Crimes of Grindelwald arriving in theaters November 2018. Now, it’s the main talking point in the latest Pitching Meeting series. While the movie was able to earn a respectable 74 percent rating on Rotten Tomatoes, as well as two Academy Award nominations (with one win for Best Achievement in Costume Design), these accomplishments mean nothing to Screen Rant’s Pitch Meeting YouTube series. Host Ryan George refers to the fact that the source material for Fantastic Beasts and Where to Find Them is hardly enough to construct an entire film out of, but Warner Bros. couldn’t possibly resists capitalizing on the Harry Potter series more than they already have. This episode refers to some questionable creative elements included in the movie, including a “magical horny rhino” and how the story uses “magic to explain logical inconsistencies.” The episode also touches on the movie’s questionable wizarding law, referring to the fact that two characters are sentenced to death on account of bringing illegal animals into the city, while the film’s central villain is simply restrained. Despite all the hype from diehard fans of Rowling’s cinematic Wizarding World, however, the film’s sequel Fantastic Beasts: The Crimes of Grindelwald is currently ranked as the lowest rated film on Rotten Tomatoes. And, as it so happens, some of the key criticisms aimed at the movie relate to some of the points that Ryan makes in this Pitch Meeting episode, namely about its narrative issues.